A vehicle with great resale value: The Hyundai Accent and Hyundai Elantra are at the top of the list of vehicles with the best resale value, so you can rest assured you’ll be making a great investment when you buy a used Hyundai. A dependable vehicle: Consumer Reports have given Hyundai models a top score in reliability, so when you choose a used Hyundai model, you know you’re getting a quality vehicle that was designed to last. 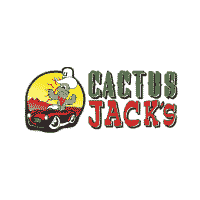 If you want to see a used Hyundai model and reap the used Hyundai benefits, head to Cactus Jack’s Automotive Group. You can bring one of our vehicles home for just $500 down, and we have plenty of weekly specials that ensure you get the used Hyundai model that’s right for you. And if you have zero or bad credit, our Buy Here Pay Here program can help you get financed. Contact us today to learn more.